Applicants holding a bachelor's degree or its equivalent from a recognized university or college, having achieved at least a B average, will be considered for admission to the MDiv program. Completed application forms, official transcripts of all post-secondary education, three letters of reference (including one each from the candidate's bishop and priest), and a résumé or personal history should be sent to the Divinity Office by the specified date for the term in which you would like to be admitted. If places are available, applications will be accepted after this date. Petitions for advanced standing or transfer credit should be made at the time of application. When an application has been approved, an interview is arranged with the Dean and the MDiv Director. In some cases, mature applicants with life experience that has prepared them for theological study at a graduate level, who have not completed a bachelor's degree or its equivalent, but who have completed one year of university-level education with at least a B- average, will be considered for provisional admission to the MDiv programme. 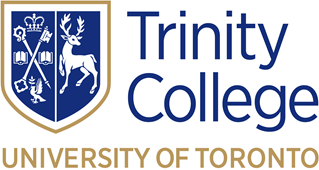 Such students will be admitted as non-degree students on probation until they have satisfactorily completed 10 credits at the Toronto School of Theology. At that time, if they are considered by the teaching staff of the Faculty of Divinity to be making satisfactory progress in their studies, they will be registered in the MDiv and courses completed at TST will be credited towards the MDiv. No more than 10% of the students registered in the MDiv programme may be in this category.